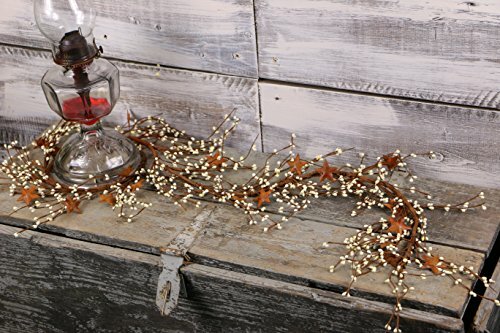 Our primitive style Pip Berry & Rusty Star Garlands are great for accenting mantles, bookshelves, cabinets, door frames and much more. * Measures 40" in length. * Pips are ivory in color. * Three-dimensional rusty stars. Our primitive style Pip Berry & Rusty Star Garlands are great for accenting mantles, bookshelves, cabinets, door frames and much more. Pips are ivory in color.